An assessment on the basis of the achievements of the alumni of an educational institution does not adequately reflect the true contribution of the institution as a whole. An evaluation of the role in a broader context of an institution such as Richmond, which had continued to grow in size, stature and public appreciation for over a century must take into consideration the changes that the country and its people had undergone during its history. Richmond’s long history coincided with the gradual transition of Sri Lanka from a colony to a nation and this invariably involved a transformation of its role and objectives. It is in this respect that an assessment of Richmond’s contribution to the nation is attempted here. This, however, is a difficult task as the essence of the contribution of an educational institution is not readily perceptible and generally evades enumeration. Richmond College, when it was founded in 1876, was an institution committed to the proselytizing mission of European Christianity. Besides, like all other missionary schools, it was expected to legitimize colonialism and popularize its ideology. These were accepted functions of educational institutions in an era when the British Empire dominated the World and the superiority of western institutions, culture and systems of knowledge were taken for granted. The principal purpose of such institutions was the training of indigenous subattern classes indispensable to colonial administration. In this process they catered to the growing demand in colonial societies for a modern, secular and western style education. Richmond, obviously, inherited the socially structured educational system of Britain which was expected to train the elite for public positions. An essential element of this training was the building of character capable of serving the interests of their own society. Within a decade Richmond had emerged as a leading public school in the country and the number of Richmondites successful in Cambridge examinations and winning prizes and scholarships, distinctions and exhibitions increased annually. By the early twentieth century there were many Richmondites in the elite of Sri Lankan society, in the administration, and professions, and in new economic enterprises contributing to the society’s needs. From its early days Richmond, however, did not entertain a narrow and sectarian view of education. The recognition of the crucial importance of informal experience and relationships in the process of learning, and in the growth and development of a person through out life, was evident in the stress on a wide range of extracurricular activity and on social interaction with outside society. As a Wesleyn Methodist Institution Richmond adopted from the beginning an attitude of religious harmony and social activism. Its religious commitment did not lead to conflicts with the surrounding Buddhist society, while its more positive concern with its social responsibilities to the less fortunate outside, led to its acceptance by the society around. The distinguished missionary principals set an example to the students and staff in their dedication to social work as a humanitarian commitment rather than as a religiously motivated activity. The transformation of Richmond from a colonial and Christian education institution was evident from the early 20th century. While British rule and Christian missionary enterprise were still strong and virile, Richmond opened its doors to movements and activities associated with nationalist politics and popular grievances. Richmond’s National Association, the Servants of Lanka League and its temperance activity were clear expressions not only of an attitude of liberalism but of a positive policy of integration with the national life of the Country. 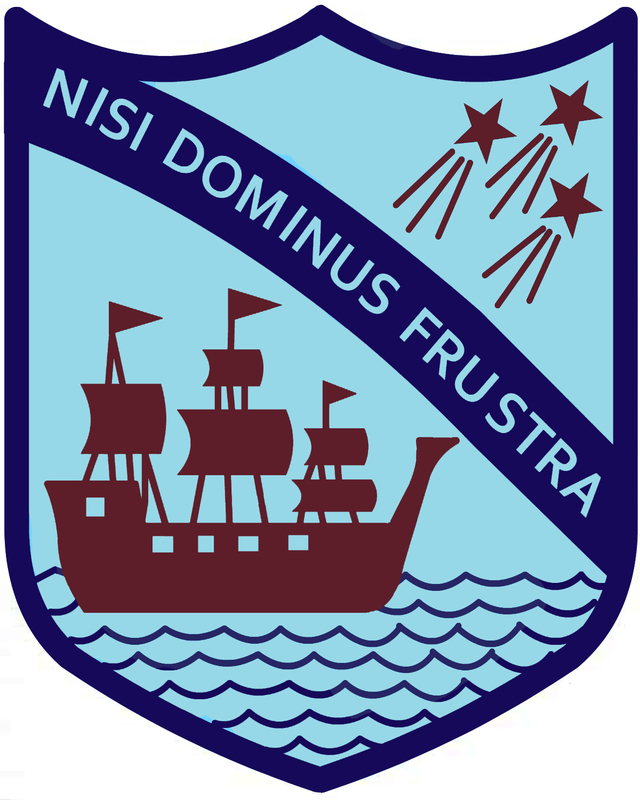 Richmond College National Association was formed, with the Principal as President and with Old Boys, Staff and senior students as members, at a time when the ‘ gospel of no politics for natives’ was still being preached by the colonial rulers. It was modeled on the Ceylon National Association founded in 1888 with the motto ‘ agitate, agitate, agitate ‘ for constitutional and administrative reform, and was considered the counterpart of the Indian National Congress. It was reactivated around 1905 on a wave of anti-government agitation and soon spearheaded a new campaign for constitutional reform. It’s leaders at the time, James Peiris, Ponnambalam Ramanathan, Marcus Fernando, D. B. Jayatillaka entertained a vision of a self governing Ceylonese nation. One of its Presidents, Arthur Alwis addressed the Richmond College National Association in 1914 on ‘ Political Agitation ‘ advocating participation of students in politics, which at the time, meant essentially the agitation for the right of a subject people to participate in the government on a basis of equality. The objectives of Richmond’s National Association were “to foster patriotism, to develop national ideals and to influence thought in every direction for the uplifting of the Ceylonese as a nation; also to discuss, study and adopt all possible measures that tend to secure the greatest and best results for the future generations of Ceylonese”. This shows that Richmond shared the ideal of a Ceylonese nation which most of the political leaders at the time were trying to build. Richmond was perhaps the only school in the country to organize an association of this nature, and such ideals associated with a missionary school at the time were undeniably unusual. Richmond’s involvement with the Temperance Movement of the early 20th century came with the Principal Rev. W. J. T. Small taking a leading role in the Galle Temperance Association. He participated in temperance rallies and meetings along with Buddhist monks and other religious and lay leaders demanding the government to close down the numerous toddy taverns. This was an issue that united men of different faiths, communities and classes and it successfully pressurized the government to abandon the policy of opening new taverns to enhance its revenue. More significantly temperance was an issue which stirred the national consciousness of the people and also helped to mobilize the masses against the governments ill conceived policies Despite some friction between the Buddhists and some Christian sects on the issue of temperance. Rev. Small and Richmond found no contradiction between Christianity and the total abstinence that the Buddhist advocated. Even when the Temperance Movement helped the revitalization of traditional cultural values based on Buddhism, Rev. Small saw no reason to dissociate himself from the movement whereas certain Christian churches made this the excuse to oppose it. Richmond also came under the influence of the Social Reform League founded in 1905 by outstanding Sri Lankans, such as Ananda Coomaraswamy, James Peiris and D. B. Jayatilaka, who felt the responsibility of the wealthy towards the underprivileged in society. James Peiris as President of the Social Reform League addressed the Richmond College National Association on ‘ Social Service ‘. The emerging leaders in Sri Lankan society at the time used ‘ Social service ‘ to win political acceptance among the people, and during the second decade of the 20th century these founded The Servants of Lanka League modeled on Golehale’s Servants of India ‘, an organization that intended to stress the social commitment of the Indian political leadership. The activities of Richmond’s National Association also included the formation of a servants of Lanka’s League in the College with the participation of both staff and students. All these activities during the first two decades of the 20th century amounted to . an initiation of the teachers and students of the College into the movement that marked the early stirrings of National consciousness. Among the generations of students of these years there were many who ultimately reached high levels in national political life, apart from several who served Municipal Councils and other local bodies. Program of reform marked the transition of the educational system that had been created for a colonial society to a system intended to serve a free nation. Kannagara had a clear perception of the implications of the educational system that had evolved from the time of the Portuguese rulers, and was convinced that a system of national education rooted in national culture was the most effective means of overcoming the subservient and dependent attitudes of the people. National regeneration he believed was possible only through a national education system founded on traditional cultures, languages and religions. From 1926 he spoke of the importance of the national languages for Sri Lanka in order to reemerge as a nation. The colonial educational system, he said, had failed to produce a single outstanding intellectual, a poet or an expert. One of the fundamental promises of his educational reform was that the state must bear the responsibility for the education of the people. This did not amount to a take over of all schools by the government. A wide scope of freedom and assistance was given to the private and denominational schools. The responsibility of the state necessarily involved the democratization of education providing free and equal opportunities to everybody. 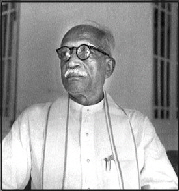 Universal education was Kannangara’s ideal. For 16 years as Minister of Education, from 1931 Kannangara carried out a comprehensive educational reorganization and rationalization which made education the most powerful democratizing force in the country, far more important than universal franchise. His role was decisive in creating the independent University of Ceylon, putting and end to the young period of hesitation an postponement. Kannangara’s contribution to the emergence of Sri Lankan nation, irrespective of ethnic and other differences, is too well known and sufficiently documented to be repeated here. What is significant is that he had to fight hard in carrying out his reforms. His own words summarize the problems and objectives of his endeavour, In spite of the fierce and most dogged opposition from a large and very influential section of the people of my land, in spite of abuse and calumny, vilification and ridicule, I have succeeded in obtaining the sanction of the State Council of Ceylon for a scheme of free education, providing for all children of the land equal opportunities to climb to the highest rung of the educational ladder, from the kindergarten to the University, irrespective of the status of financial capacity of their parents, and for obtaining for our national languages their rightful place in that scheme as an essential prerequisite for building up a free, united and independent nation.” This ideal was however handicapped by numerous constraints and obstacles for which Kannangara himself was not responsible, but he laid the structural foundations of a new system which have remained to this day. In this sense Kannangara’s was the greatest single contribution in modern times by the leadership of Sri Lanka. As an institution Richmond always extended responsive cooperation to Kannangara’s reforms, true to its liberal tradition and in recognition of the needs of the country as a whole. This is significant because most missionary organizations vehemently opposed Kannangara’s reforms. Rev. A. A. Sneath, in his speech welcoming Kannangara, the chief Guest at the Diamond Jubilee Prize day in 1939, stated. “Richmond has no more loyal Old Boy than yourself. We rejoice in your reappointment as Minister of Education”. 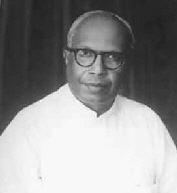 Richmond’s first Sri Lankan Principal, E. R. de Silva, was closely associated with Kannangara’s reforms. He was the President of the Southern Province Teachers Association and a member of the Board of Education in 1939. Later in 1941, he was the President of the All Ceylon Teachers’ Union. 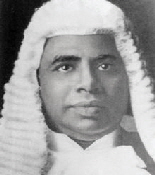 In his evidence before the Kannangara Education Commission E. R. de Silva supported free education and in his Prize Day Speech in 1943 he referred to the need for instruction in the mother tongue, at least in the early stages of a child’s education. The initiative to promote the teaching of Sinhala language and literature at school came from E. R. de Silva who put it to practice, when most other public schools were dragging their feet on this issue. Thus Richmond’s transformation into a national educational institution proceeded rapidly under E. R. de Silva. When after he retired from the Principal-ship, government’s decision to assume the responsibility over all assisted schools created heated controversy, E. R. de Silva persuaded the Methodist Synod to vest all its educational institutions, except Wesley and Methodist Colleges, in the State. Thus Richmond underwent the transformation without the trauma and bitterness that was associated with the change in the case of many other similar institutions. Dr. W. Dahanayake and S. F. de Silva were two other Richmondites who helped to realise the ideals and objectives of Kannangara’s educational reforms. Dahanayake, during his long period of service as a legislator, as Minister of Education and as Prime Minister, championed the cause of the less privileged and carried further the policy of special assistance to the poorer students. He was also responsible for the implementation of another of Kannangara’s ideas that of elevating the centres of Buddhist learning to University status. S. F. de Silva as Director of Education in the early 1950s worked with commitment to apply the principles on which Kannangara restructured education in the country. Kannangara did much to make teach i ng a respectable profession by freeing teachers from the grasp of the school managers and stressed the need for their systematic training, S. F. de Silva, was responsible for the program of training of teachers to meet the needs of expanding education, following the introduction of free education. He personally contributed much by writing school texts on a variety of subjects. Besides, he was firm on the importance of the mother tongue as the medium of instruction, while recognising the need for a high standard of English. There are other special contributions by Richmond’s Old pupils to national education and culture that also deserve some mention. The names of Ludowyk and Sarachchandra are too well known in the fields of art, education and culture to need elaborate description. E. F. C. Lodowyk had most of his education at Richmond and had a brilliant career at the Ceylon University College and at Cambridge. He was the foremost English scholar produced by Richmond and the University College and served these institutions as a teacher and Professor respectively. He introduced modern critical standards to the evaluation of literature which completely revolutionalized English studies in Sri Lanka. What is more vital is the impact his work has had on Sinhala literary studies. 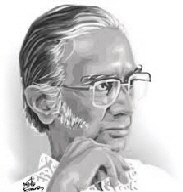 He largely inspired his junior University colleague, Ediriweera Sarachchandra, who himself had his early education at Richmond and it was Sarachchandra who set the way for revolutionary critical approaches to Sinhala literary studies. Both Ludowyk and Sarachchandra made their mark in a unique way in yet another field in theatre art and education. Ludowyk was the creator of a modern English theatre in Sri Lanka. It was people like Ludowyk who gave substance as well as a creative dimension to English education and Culture in Sri Lanka, a dimension that went beyond mere imitation of colonial habits, fashions and values. Significant as this is, it is Ludowyk’s influence on the Sri Lankan cultural life that is perhaps even more exciting and forward looking. Ludowyk’s collaboration with Sarahchandra produced the seminal artistic work “Kapuwa Kapothi” (1945) in Sinhala. Sarachchandra, by his own admission, learnt much from Ludowyk and went on to make his singular and most memorable contributions to the theatre and culture of Sri Lanka. 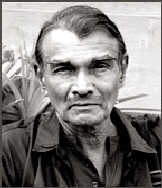 His great plays “Maname” (1956) and “Sinhabahu” (1961) are associated with the cultural revival in post independent Sri Lanka. An eminent multiculturist the best Richmond has produced. Sarachchandra, went back to tradition, refined and enriched it, and brought to bear on it a modernist vision. He is Sri Lanka’s foremost internationally recognized artist and culturist. In this country he has helped produce more than one generation of literary scholars, critics and artists, and nurtured and fostered educated taste and values. Richmond has produced many other specialists who have contributed to the art and culture of Sri Lanka, but we are concerned with attention to those whose work and achievements are related also to the cause of educations in some fundamental way. Gamini K. Haththotuwegama’s name has to be mentioned as the pioneer of the Modern Street Theatre Movement in Sri Lanka which has made its impact in relation to non formal, radical and alternative art and culture education. He has inspired the formation of Peasants’ and Workers’ Theatre Groups and has done much to popularise practical theatre training and elevate Theater Studies to the position of an important component in the University Fine Arts Degree curriculum. He has made a lasting contribution to develop art education and enrich the taste and cultural sensibility of the people of this country. Today Richmond has emerged as one of first few leading national institutions of this country. Its present position owes much to its founders and a succession of principals and teachers for a period well over a century. Its contribution lies not merely in the imparting of education , discipline and other virtues that a citizen of a country is expected to possess, but also in the spirit of commitment and the sense of duty towards society around and the nation as a whole, that it has inculcated in the m i nds of those who passed through its corridors. Professor Jayasekara joined Richmond College in 1944. He w a s a Prefect of the school and won the most prestigeous award at Richmond, the Darrell Med a l in 1954. He obtained an Honours Degree in Arts from the University of Peradeniya in 1959. He was awarded a Commonwealth Scholarship to Canada where he obtained his Masters degree in History from the University of Manitoba. In 1970, he was awarded the PhD by the University of London. He served as a Lecturer at the VIdyodaya Universi y and later, in 1973, rejoined the University of Peradeniya where he became the Professor of History. He is the Author of ‘ Security Dilemma of a Small State ‘.